Oladimeji Bolaji Adeniji is a Professor and current head, Department of Agricultural Economics and Extension, Faculty of Agriculture, Federal University, Oye-Ekiti Nigeria. He was at University of Ife between 1981 and 1984; and Ahmadu Bello University, Zaria, where he bagged MSc in 1996 and PhD in 2002 in Agricultural Extension. He joined the services of Federal University of Technology, Minna, on transfer from Ahmadu Bello University as Senior Lecturer in 2006 and rose to the rank of Professor in October 2012. Prof Adeniji has, over the year, been enhancing human capacity development in agriculture through teaching, research and community service. He has trained over 7 PhD, 35 masters and several hundreds of undergraduate students, and has published more than 70 peer reviewed papers in national and international journals. He has served as external examiner to many universities in Nigeria, and was a visiting professor to Landmark University, Omu-Aran, Nigeria (2013-2014). He was the Managing Editor of the Journal of Agriculture and Agricultural Technology, FUT Minna; Managing Editor of Samaru Journal of Agricultural Research, IAR/ABU Zaria (2002-2006) and reviewer to several national and international journals. He is teaching related courses in agricultural extension and rural development, at both undergraduate and postgraduate levels. These include Agricultural Extension Planning and Evaluation, Gender in Agricultural Extension and development, Rural Sociology, Technological change in Agriculture, Contemporary issues in Agricultural Extension, Rural and Community Development, and Agricultural communication. As an academic, Prof Adeniji has attended and actively participated in several conferences both at national and international levels. He has many professional and proficiency certificates in various discipline. 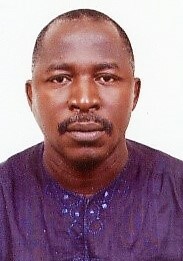 His research interests are Agricultural Extension, rural development, socio-economics and Gender issues in Agriculture. He has held several position of responsibilities among others- Chairman, Academic Staff Union of Universities (ASUU-FUT Minna 2010-2012), Chairman Committee on Cooperative Extension system, Chairman Creation of Adoption Village, Member Servicom Brigade. He is a member of Agricultural Extension Society of Nigeria (AESON), Farm Management Association of Nigeria (FAMAN), Rural Sociological Association of Nigeria (RuSAN). Outside the University, Prof Adeniji is a member of some non-government and community-based organizations, such as secretary Nigerian Participatory Appraisal Research Network (NIPRANET). He is a consultant to IFAD, National fadama, World Bank’s LEEPM, and Petroleum Technology Development Fund, etc, on rural development, socioeconomy, agricultural extension and development studies.